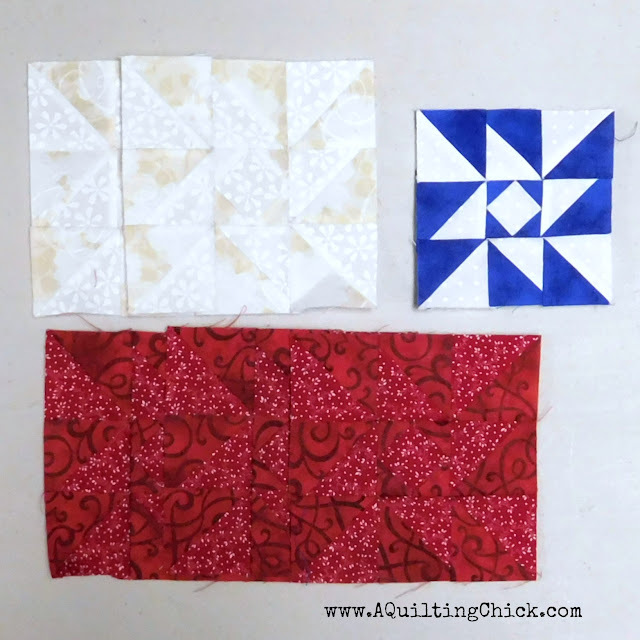 A Quilting Chick: American Flag Quilt - Set 1 Complete! American Flag Quilt - Set 1 Complete! Hi y'all! 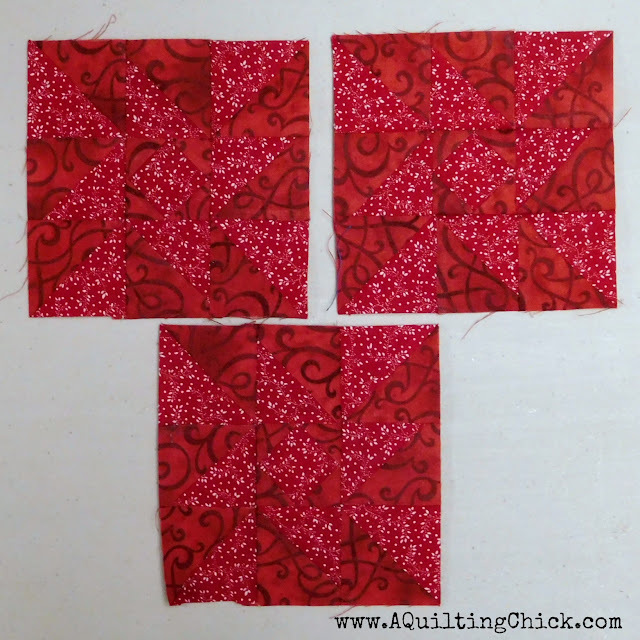 I wanted to pop in and show you the first blocks that I completed for the American Flag quilt. Just so you know, I'm basing these on the state block patterns that are floating around the internet. I am drafting them in EQ so I can paper piece them to the size I want. 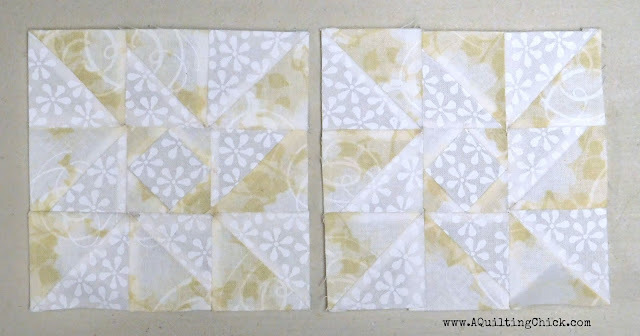 These are my Indiana blocks (pattern available in this blog post). 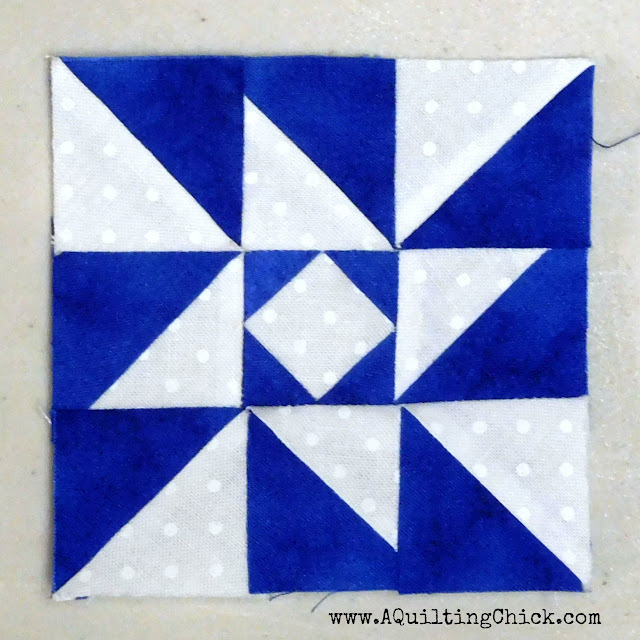 First up, my blue block. I'm making one of each for a total of 50 and it will finish at 3". And finally, my red blocks. Since this was a pretty easy block, I decided to make three of this one. The red and white blocks will finish at 4". Here they are together. Really enjoying this one and working at a non-rushed pace! Wow, I've been missing a lot while I was in school! I need to go back and read because this looks like an amazing project. Thanks for the inspiration and I look forward to more amazing work! Your works are very inspiring! 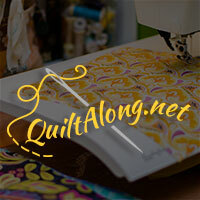 I am very happy that I found your blog and I can read such great posts. It's great that you describe this topic on your blog. I love this pattern. I have always intended to make a flag quilt, but haven't had time yet, but I will! !